So festive! I cut snowflakes using an old Marvy snowflake punch and finished the card off with an Impress sentiment. I used Stampin' Up's 'Stickles' equivalent, but found it a little harder to work with than actual Stickles. Still, they match that Cherry Cobbler perfectly, so I'm not complaining too loudly! lol! Oh my goodness! The snowflake just pops off the card. Gorgeous! Love the offset snowflake, and the card looks terrific in that colour combo! What a lovely card for the Dynamic Duos Ardyth! Gorgeous card Ardyth - I love this colour combo too! I noticed when I went outside to photograph my card that it matched the colours of my house LOL - no wonder I like the combo! This is stunning! I love the layout...I'm a such a circle girl, and the snowflake pops beautifully. Thanks for playing with us at Dynamic Duos! Delight is the perfect word for this card....simple and sweet with the perfect pop of sparkle! I like the white snowflake layered behind the Cherry Cobbler...it gives a 3-D effect! Thanks for joining Dynamic Duos this week! Very sweet Christmas card - love that sparkly red snowflake! 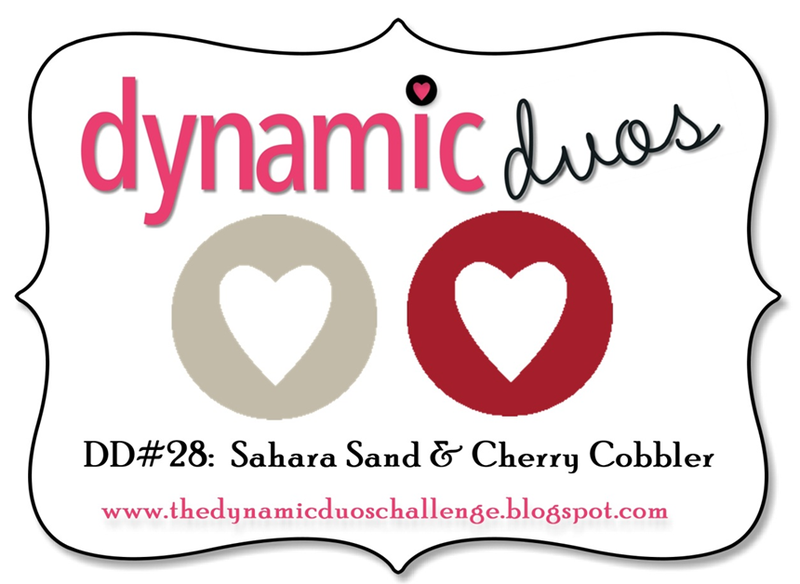 Thanks for playing along with Dynamic Duos this week!